Why should your child attend kindergarten at New Pathways? New Pathways offers a kindergarten program for children who are 5 years of age on or before August 1. Taught by a licensed teacher with a degree in elementary education and certification in kindergarten, our classroom meets daily from 8:15a.m.-3:00p.m. during the school year. 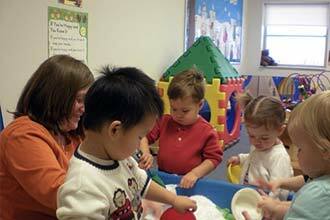 Our curriculum is based on the Indiana Academic Standards for Kindergarten Students. Our classes have no more than 12 students, allowing our teacher to spend more time with your child. Our teacher will individualize your child’s instruction – based on your child’s specific strengths, needs, and interests. Your child will be encouraged to acquire new skills when she is ready – instead of following a predetermined timetable. Learning opportunities that are fun! 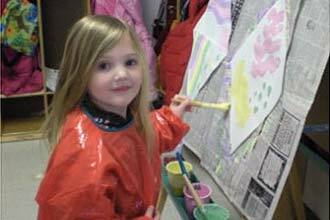 Our kindergarten students participate in frequent field trips and special projects. We believe that learning occurs in a variety of settings and when children are engaged and interested in gaining new knowledge. Our literacy program really works! Shared reading and writing, guided reading, and meaningful phonics instruction combine to ensure that your child will enjoy reading and become a competent reader.